Our vision is that there would be movements of Jesus everywhere so each of the over 7.3 billion people alive in the world today will know someone who truly follows Jesus. There is no way that Cru can reach each of these 7.3 billion people alone. Instead Cru serves as a catalyst for greater ministry effectiveness. Cru invites people into deeper relationship with Jesus. 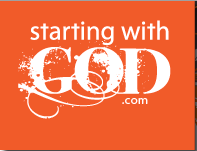 For many, this means inviting them to begin a relationship with Jesus—often through personal relationships. 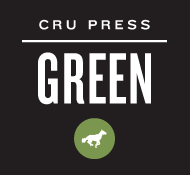 Cru also creates tools, print media, short films, webpages, electronic media, etc… that can be distributed to those with whom we are unable to have a personal relationship. Cru invites Christians into deeper participation in the mission of Jesus. Cru partners with people or groups who want to invite people into deeper relationship with Jesus. The Jesus Film Project, a ministry of Cru, currently partners with over 100 missions organizations and church denominations. In today’s US Army, seven people serve behind the scenes for each soldier in the field. In Cru, one person serving behind the scenes enables at least six Cru staff members to serve effectively in the field. Our service in Cru’s international headquarters enables front line Cru staff to more effectively invite people into deeper relationship with Jesus and deeper participation in the mission.